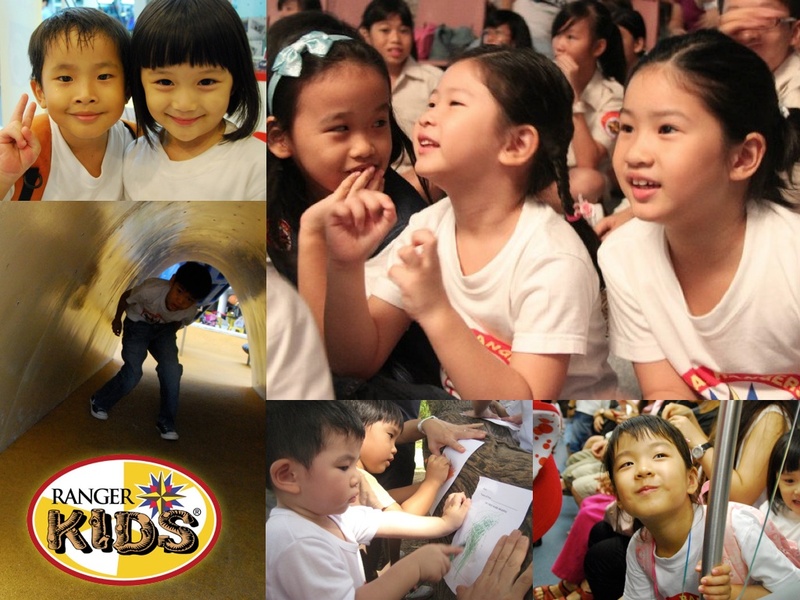 Ranger Kids—the trail to fun and adventure — is an exciting program for boys and girls in kindergarten one to Primary one. Boys and girls in this age group participate in great fun and excitement that will allow them to develop their interests and needs as well as mold their character. Ranger Kids (Kindergarten one, Kindergarten two, and Primary one), includes a challenging and fun advancement system encouraging boys and girls through indoor and outdoor activities and games. The weekly lessons and objectives help to reinforce godly principles in their daily lives, and they will have opportunities to achieve many advancement awards that can be placed on an awards vest and worn each week as part of the official Royal Rangers uniform. Weekly experiences and activities are enhanced through a specific advancement system designed to give these boys and girls a sense of achievement and purpose. Their minds will grow strong by reading, studying, and memorising Scripture passages. Their relationships with people will grow strong by learning how to treat them. Children come in all shapes and sizes. At Royal Rangers, we have specially designed program tracks for each age groups.